This podcast will provide tips and advice to junior golfers and their parents on how to navigate their junior golf journey. Ep #78 - Winter recap, The 2019 season is here! Today's episode I bring you guys a recap of our winter and little nuggets I took away from it. We talk some 2019 season prep. Also another great opportunity for me to give you a nugget to go think about. I hope you enjoy this episode of the podcast! Title Sponsor Future Champions Golf Connect with the podcast Facebook Instagram Twitter Matt Walter Golf Academy Thanks for listening! Please make sure you leave a 5 star rating and leave a review! Today's podcast I get to interview one of the top junior golfers in the country, Yuki Moriyama. This episode couldn't be possible without our friends Future Champions Golf. Yuki is a great kid with a lot of potential. Pay attention to what he has to say because he knows how to go low! Connect with Yuki Instagram Title Sponsor - Future Champions Golf Connect with the Podcast Instagram Facebook Twitter Matt Walter Golf Academy Thanks for listening! If you've enjoyed our shows please subscribe and leave a rating on the show! Thank you! Today's podcast I interviewed one of Golf Digest's Best Young Golf Teachers, Steve Sieracki. We had a great chat about the programs that he operates at his facility. He's a smart coach and has a serious passion for the game! Take a listen! Make sure to subscribe to the podcast and leave a 5 star rating and review as it helps us on the charts! Thanks! Connect with Steve Sieracki Instagram Facebook Twitter Connect with the Podcast Instagram Facebook Twitter Thanks for listening! Today's episode I interviewed Coach Mike Wilson who is a TPI Strength and Conditioning coach. Mike works with Web.com Tour players as well as junior golfers in the area. He's an awesome coach and I'm excited to share some of his knowledge with you. Connect with Mike Wilson Nashville Golf Fitness Summit - Use code "walter" when you register Instagram Facebook Twitter Title Sponsor - Future Champions Golf Connect with the Podcast Facebook Instagram Twitter Matt Walter Golf Academy Thanks for listening! Don't forget to subscribe and leave us a 5 star rating! Thank you! On today's episode I interview one of the top junior coaches in the country Dennis Sales. He has had tremendous success teaching junior golfers. Take listen to this episode and find out why he's able to have such great success down in TX Connect with Dennis Sales Instagram Facebook Twitter Title Sponsor - Future Champions Golf Connect with the Podcast Instagram Facebook Twitter Matt Walter Golf Academy Thanks for listening and if you would be so kind to subscribe and leave a 5 star rating we would appreciate it! Matt Liebler is the Head Professional at The Princess Anne Country Club. He is doing some amazing things to grow the game for his facility and really create a unique culture. If you're a coach, you want to listen to this podcast for sure! Connect with Matt Liebler The Princess Anne CC Instagram Matt Liebler's Instagram Princess Anne CC Website Connect with the Podcast Title Sponsor - Future Champions Golf Facebook Instagram Twitter Thanks for listening! Don't forget to subscribe, leave a 5 star rating and write a review! Today's podcast I had the opportunity to interview Brandi Jackson. She's a recruitment counselor for young ladies that want to play college golf. Man or Woman this is a podcast you need to listen to if you want to know about recruitment. Connect with Brandi Jackson Instagram Golf Recruiting Advantage Instagram Facebook Connect with the Podcast Title Sponsor - Future Champions Golf Facebook Instagram Twitter Matt Walter Golf Academy Thanks for listening and don't forget to leave us a 5 star rating and review! Today I had the opportunity to interview my fellow Bulldog Seth Merz. He's in charge of all things junior golf at Carmel CC. We talked a lot about the growth of our game and what we can do to help it continue to take off! If you enjoyed this episode please leave us a 5 star rating and write a review on your podcast app! Connect with Seth Merz Instagram Twitter Facebook Connect with the Podcast Facebook Instagram Twitter Thanks for listening! This episode of the podcast I interviewed Peter Weisel from Hunting Hills CC. He's a young aspiring Teaching Professional like myself. His passion for teaching is evident in this podcast and I hope you enjoy! If you enjoyed this podcast, please subscribe and leave us a 5 star rating and write a review. Connect with Peter Weisel Facebook Instagram Connect with the Podcast Facebook Instagram Twitter Matt Walter Golf Academy Thanks for listening! Today's episode of the podcast I interview a great young coach by the name of Rob Failes. He works at Caramel CC under the supervision of Top 100 Jason Sutton. Robbie has a lot of great insights for being such a young professional and I look forward to watching him grow as a coach. If you like talking golf swing stuff this is a good episode for you! In the intro of this podcast I also do a quick recap of our Always Play On Mental Toughness Workshop with Rob Bell. We had such a great time with this event and Dr Bell and I can't wait to do it again! Connect with Rob Failes Instagram Facebook Connect with the Podcast Instagram Facebook Twitter Matt Walter Golf Academy Thanks for listening and if you enjoy the podcast please subscribe and leave a 5 star rating and a review! Thank you! Today's podcast I talked with Kate Tempesta, the founder of Birdie Basics. Birdie Basics is a youth program that brings kids of a young age into learning the game of golf through story telling. Kate has a serious passion for working with young kids and she clearly has a great system laid out to reach and get hundreds of kids involved with golf. You don't want to miss this episode if you have a young junior golfer. Connect with Kate Tempesta Facebook Instagram Connect with the Podcast Instagram Facebook Twitter Matt Walter Golf Academy Thanks for listening! Don't forget to leave us a 5 star rating or review! Today I interviewed Matt Cella from the Rob Houlding Performance Golf. They take on and development some of the most elite junior golfers. They have a great culture in their studio and we get to hear how they make juniors better at the game of golf! Thanks for listening. If you enjoyed this episode please leave a 5 star rating and write a review. Also, subscribe to the podcast so you can get the latest content! Connect with Matt Cella Instagram Facebook Twitter Connect with the Podcast Instagram Facebook Twitter Matt Walter Golf Academy Thanks for listening! Henry is the Program Coordinator for the New Mexico State University's PGA Golf Management. He is also the Director of Instruction for Red Hawk GC. Henry has done some great work growing the game of golf in his area. He has maximized the resources that are available to him and is growing the game to junior golfers who may not have had the opportunity. Thanks for listening! If you have enjoyed this episode please go and leave a 5 star rating, leave a review and subscribe! Thanks! Connect with Henry Stetina Instagram Facebook Connect with the Podcast Instagram Facebook Matt Walter Golf Academy Thanks for listening! Today's podcast I interviewed Ryan Dailey from Operation 36 Golf. This program has taken a "from the green to the tee" approach. Most people get intimated playing golf but with their program they have brought people to the sport and have increased their enjoyment with learning the game! Ryan has a serious passion for what he does and I think you will greatly enjoy this podcast. If you enjoyed this podcast, please subscribe, leave a 5 star rating and leave a review for us! I would greatly appreciate it! Thank you! Connect with Operation 36 Golf Instagram Facebook Connect with the Podcast Facebook Instagram Matt Walter Golf Academy Thanks for listening! Today's podcast I interviewed Chris Smeal for Future Champions Golf. Chris coaches world class junior golfers and runs a world class junior golf tour. Today's chat was really insightful and brought some great nuggets of information for you guys. I hope you enjoy our final podcast of 2018. I look forward to getting more episodes out in 2019! Stay tuned! Connect with Chris: Coaching Future Champions Golf Chris's Instagram Connect with the Podcast: Facebook Instagram Twitter Email: mattwaltergolf@gmail.com www.mattwaltergolf.com As always if you enjoy our podcast please leave a review and a 5 star rating! Thank you! This episode of the podcast I had the chance to talk with Kent Bulle. Kent has been chasing it on the professional circuits and is currently on a medical leave for an injury so I took the opportunity to get him on the show. He talks to us what it's like out on the road and how he got to where he is. Kent's also played in a US Open and British Open, so I took the opportunity to pick his brain about playing in Major Championships! To connect with Kent: @kentbulle To connect with the Podcast: Facebook: Junior Golf Blueprint Instagram and Twitter: @mattwalterpga Email: mattwaltergolf@gmail.com Don't forget to sign up for the Mental Toughness Workshop on January 26th! Thanks for listening! Don't forget to leave a 5 star rating and review please! Today's episode I chatted with another Canadian Golf Coach, Colin Bykowski. He works with a lot of junior golfers and sets up awesome programs for them to achieve high levels of success. He also has the opportunity to travel with his junior golfers as they play across the global. I hope you enjoy listening to our discussion as we have plenty of great insights to be shared in this episode! 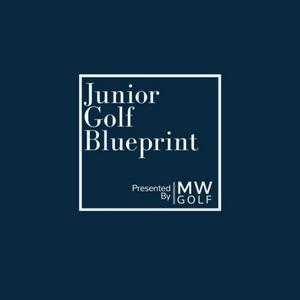 To find Colin: @colin.bykowski on social media www.colinbykowski.com To connect with the Podcast: Instagram and Twitter: @mattwalterpga Facebook: Junior Golf Blueprint Email: mattwaltergolf@gmail.com Please share this podcast and leave a 5 star review! It helps us greatly! Thanks for listening! Today's podcast I talked with Michael Michaelides. We talked college golf, golf instruction, his big break experience, and his long drives for charity. Michael is one of my favorite follows on Instagram (@mfmlides) and I would strongly recommend following him! I hope you enjoy our chat and be sure to subscribe and leave a 5 star review for the podcast! Thanks! Connect with the podcast Instagram & Twitter: @mattwalterpga Facebook: Junior Golf Blueprint Email: mattwaltergolf@gmail.com Thanks for listening! In this episode the Doc and I go into what it takes to have mental toughness. If you haven't read Doc's books I would strongly recommend checking out his website and flipping through some of these pages. Go to the following url: drrobbell.com and check out what he has to offer. I hope you enjoyed this podcast today as I enjoyed the conversation with Doc. He had a lot of great information that you can take to heart as you walk through this journey! 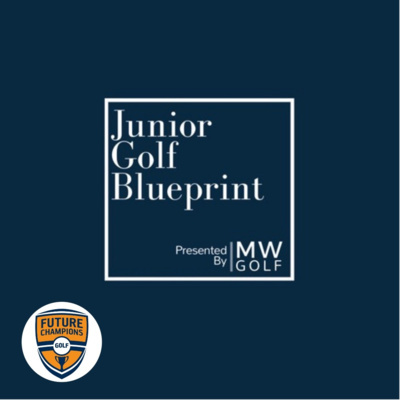 Connect with the podcast Instagram & Twitter @mattwalterpga Facebook: Junior Golf Blueprint Email: mattwaltergolf@gmail.com Be sure to leave a review and let me know what you think! Thanks for listening! Ep #50 - What are you doing to be the best?? In this episode I dove into a few articles I found online that I have shared on my social media pages. Now you get to hear my take on the articles! https://mentaltoughnessbooks.com/2018/09/the-trouble-with-youth-athletes-today/ https://www.golfdigest.com/story/what-was-a-practice-day-like-with-tiger-woods-at-his-peak-youll-get-tired-just-reading-about-it http://www.mytpi.com/articles/fitness/jordan_spieth_athlete_first#.W6Y1jfx7O44.facebook I would like to thank our new ad sponsor MotivoGolf.com. Motivo Golf designs and manufactures game improving training mats. They are lightweight and durable. I personally use them for teaching and for my own use into my net at home. **Be sure to enter promo code: mattwalterpga when you check out to receive $10 off your mat and upgraded shipping to 2 day shipping. Connect with the Podcast Facebook: Junior Golf Blueprint Instagram & Twitter: @mattwalterpga Email: mattwaltergolf@gmail.com Thanks for listening! Maurice is the 2018 World Long Drive Champion. He hit a 393 yard drive on his final attempt to win the title. He's also a motivational speaker and heavily involved with youth programs off the golf course. He delivers an inspirational message during the podcast that will fire you up to achieve your goals. I hope you will enjoy this episode as much as I did. www.mauriceallen360.com To Connect with the Podcast: Facebook: Junior Golf Blueprint Twitter & Instagram: @mattwalterpga Don't forget to subscribe and leave a review! Thanks for listening! Today's podcast I talked with the Southeast Regional Director of the AJGA. This organization is one of, if not, the most premier junior golf tours in the country. I would strongly recommend looking at playing in some of these events if you are looking to play college golf. Go visit their website at www.ajga.org or call 770-868-4200 for more information. Don't forget to leave a review and subscribe if you enjoy the podcast! Facebook: Junior Golf Blueprint Instagram & Twitter: @mattwalterpga Thanks for listening! Today's episode I interviewed the founder of the Junior Golf Scoreboard Mac Thayer. He's lived the life of a junior golf parent and knows the journey of trying to have a child get a golf scholarship. He started the website www.juniorgolfscoreboard.com and has put up a wealth of knowledge. I would strongly recommend checking it out if you're serious about playing college golf! Please subscribe and leave a review if you like what you're hearing I would greatly appreciate it! Connect with the Podcast Facebook: Junior Golf Blueprint Twitter & Instagram: @mattwalterpga Email: mattwaltergolf@gmail.com Thanks for listening! Today's episode I recap the events from our post season play for PGA Junior League. It was a wild week while I balanced PGA Junior League All Stars and a week in Pinehurst for US Kids Worlds. We also had an incident with a rules violation during the State Championship that lead an interesting dilemma. Fortunately my kids came out stronger for it and we learned what really matters. That the game is more than just winning a golf tournament but to grow as an individual and gain friendships. Social Media Facebook: Junior Golf Blueprint Insta & Twitter: @mattwalterpga Email: mattwaltergolf@gmail.com www.mattwaltergolf.com Thanks for listening! This episode is the second of a 4 part series. I will release them as a series of episodes. If you haven't listened to Episode 41 do so because it goes into the practice round details. It will be a journey through my trip to US Kids World Championship at Pinehurst No 8. I am on the bag with one of my 12 year old boys and we have a goal to finish inside the Top 20. It's going to be a fun week and I can't wait to share it with all of you! Connect with the Podcast: Social Media: Instagram: @mattwalterpga Facebook: Junior Golf Blueprint Email: mattwaltergolf@gmail.com www.mattwaltergolf.com Thanks for listening! This episode along with 42, 43, & 44 will be released as a series of episodes. It will be a journey through my trip to US Kids World Championship at Pinehurst No 8. I am on the bag with one of my 12 year old boys and we have a goal to finish inside the Top 20. It's going to be a fun week and I can't wait to share it with all of you! Connect with the Podcast: Social Media: Instagram: @mattwalterpga Facebook: Junior Golf Blueprint Email: mattwaltergolf@gmail.com www.mattwaltergolf.com Thanks for listening! Ep 40 - Are you doing everything you can to succeed? This episode I talk about the importance of eating and drinking fluids properly during a round. Plus the effect it can have to the brain if you starve your brain during competition. I also mention the importance of following up with your kids the information you try and share with them. Are they hearing what you're saying or are they LISTENING! I wrap up with talking about goal setting be S.M.A.R.T. with your goals as you walk through this journey of junior golf. Ways to connect with the podcast: Email: mattwaltergolf@gmail.com Facebook: Junior Golf Blueprint Instagram and Twitter: @mattwalterpga Website: www.mattwaltergolf.com Thanks for listening! Today's I took snippets from my playing lesson with one of my students. We had a lot of fun. Talked different strategy. This podcast might help add a couple of nuggets of course strategy to your arsenal! Want to say a big thanks to Talk Golf America for picking up the podcast going forward! http://thegolftalkamericanetwork.com/ Subscribe to the podcast and leave a review if you like what you're hearing! Follow me on social media: @mattwalterpga Email: mattwaltergolf@gmail.com Thanks for listening! This episode of the podcast I took a dive down the rabbit hole of mindsets on the golf course. I've had a lot of kids playing in events and have been teaching a lot of playing lessons so it's been interesting to see how things are shaping out this year. I first talked about setting expectations and how having them set to high or low can really affect the outcomes of your round. I discuss the Mental Energy Tank and how it drains as you go through your round or over the course of multiple rounds. I conclude with talking about confidence and how to shape it as you improve. Plus, I added a bonus nugget of what to think when nerves get the best of you! Thank you for listening! Please subscribe to the podcast and leave a review! Follow us on Social Media Instagram: @mattwalterpga Twitter: @mattwalterpga Facebook: Junior Golf Blueprint or Matt Walter Golf Email: mattwaltergolf@gmail.com Thanks for listening! Today's podcast I had the chance to chat with James Hong. He is a golf coach at Harbor Links GC in Port Washington, NY. He does great things developing junior golfers and he was willing to share is insights! Enjoy! To connect with James: Phone: 516-767-4818 Email: jhong@palmergolf.com Twitter, Facebook, Instagram: @jameshonggolf To connect with the podcast Email: mwalter471@gmail.com Twitter: @mattwalterpga Instagram @mattwalterpga Facebook: Matt Walter Golf www.mattwaltergolf.com Thanks for listening! Don't forget to leave a review if you like it! Today's Podcast I had the opportunity to discuss Junior Golf with Michelle Holmes. She is a coach located in Chesapeake, VA. We had a great chat discussing how we work with junior golfers to make them better. We brought out some great nuggets for the parents and the kids! Hope you enjoy! Michelle Holmes Golf Instagram: @michelleholmesgolf Twitter: mholmesgolf Facebook: Michelle Holmes School of Golf If you want to connect with the podcast Email: mwalter471@gmail.com Twitter: @mattwalterpga Instagram: @mattwalterpga www.mattwaltergolf.com Thanks for listening! Today's podcast I interviewed Greg Hubbard. He is the U.S. Kids Golf Local Tour Director. We talked about all the great things going on with the U.S. Kids Golf Tours. This is a great podcast for parents looking to get their children into the game and how to be a great caddie! We also talk World Championship in Pinehurst coming up this August. For more info on U.S. Kids Golf click the link below to learn more! http://uskidsgolf.com/tournaments Reach out: Email: mwalter471@gmail.com Twitter: @mattwalterpga Instagram: @mattwalterpga Thanks for listening! Today's podcast I interviewed one of my own students Coleman Jones. He is the 2017 TN Junior Am Champion and heading to Belmont University this fall. Today we explored some insights into his journey and advice he has for other juniors. Enjoy! Reach out to me at Email: mwalter471@gmailcom Twitter: @mattwalterpga Instagram: @mattwalterpga Thanks! Ep #30 - Know the rules of your sport! This episode we dive into some ugly truths about playing tournament golf. We need to make sure we know the rules to our sport and that we as the competitor know how to follow them to keep the field equitable. We added a little bit about pace of play as well. All of these nuggets are here to help grow the junior golfer. Not protect them from the rules but to help the grow so that they can learn from the rules. Sometimes it may sting and not be in your favor but it will surely make them become stronger for it! Today we talked about windy conditions. How to play the shots with different wind directions. We also talked short game. How to take out inconsistent variables. YOU! This episode I talked with Super Speed Golf's Kyle Shay and Mike Napoleon. They are the two gentlemen behind this game changing speed system. They have a fantastic product that has helped many of my players gain speeds from 5-10 mph in their driver swings. If you're interested in learning more about their product visit them at the following: Website: https://superspeedgolf.com/ Instagram: @superspeedgolf Twitter: @superspeedgolf Facebook: Super Speed Golf Training System I hope you enjoyed this awesome episode and can put some speed into your game! Today's episode I chatted with a D1 Women's Golf Coach about NCAA Rules and what to expect when going through recruitment. We talked about transitioning to college golf, and what kind of schedule to expect when you get there. We also talked about what she looks for when recruiting players. Hope you enjoy! Intro Creating a monthly plan for practice and improving How to create an effective game plan for practice Expectations when making a swing change. What to expect how to go through it. Wrap Up. Quote from the definition for insanity. Friday's podcast will have NCAA Rules and what you need to know! Intro Time required to achieve your goals. How much effort does it really take to get to where you are to where you want to be. Focus and channeling your intent while practicing. Creating a competitive mindset. Dr Bhrett McCabe. Dr Rob Bell. Settting benchmarks to be better than who your were 5 seconds ago. Setting process goals to get you to the end results. Quote "Talent wins games, but teamwork and intelligence wins championships." Michael Jordan Coach Lissa Bradford on Tuesday morning talking about NCAA Rules so submit your questions now! Intro. How to prepare for a MAJOR. How to approach practice rounds. Mapping a golf course. What to look for when laying the course out. Prepping and practicing for the conditions for play. Finding similar grass to practice. Preparing your body for the conditions. How to schedule your tournaments for MAJORS. Quote and wrap up. Putting your plan aside to accept the changes that are laid out before you. Ep #22 - Short Game "games"
Intro. Short game practice tips. Play against opponent using 2 balls each. Ball closest to the hole gets +2 and ball furthest from the hole gets -2. Whoever has the most points at the end wins. Also, try taking all your wedges to the green. Try hitting one shot with each wedge to target and then change location and restart. Putting tip. Play a game called bank. 3 different length putts. 4 footer is worth 1pt, 10 footer worth 2pt, and 20-30 footer is worth 5pt. Get a group of friends to play. Each time someone makes a putt that hole increases in value by that many points. First person to miss gets all the points in that hole and first to 21pts loses. Tips for parents. Don't focus on all the negative that's easy to find in golf. Let your child decide when they want to talk about it. Praise them more for the good things in the round and guide them to practice the things that will make them better. Quote about a child's success is not a product or parenting but their attitude is! Intro. Mindset of driving range versus golf course. How to find a playing swing thought. Persevering through tough shots and holes. How the brain needs a calm and relaxed state to be athletic. How to take the range to the course. Wrap up. Quote from Bobby Jones of the toughest course is between the ears. Intro. We talked match play and how the mentality changes. How to play some mind games with opponents. How it can teach you to be aggressive. What elements you can add to your stroke play game. We talked about how to have a good player caddy relationship. When to ask your caddy for advice. When to offer advice as a caddy. Junior Golf Programs offered by Matt this summer season. The benefits and what it entails. Why he changed from his old method of one off lessons. Wrap up and quote. "There is no elevator to success. You have to take the stairs." Interview with Zac Radford. Late start into golf. Didn’t play college golf. Went from a 10 handicap to a +6 in the course of a year and what he did to get there. Mentality of playing professional golf and being in contention. Teaching juniors. Growing a social media following. Trick shots. Having a creative mindset. Wrap up. Intro. US Kids Recap. Playing in tough conditions. Golf School recap. Ability to learn. Mindset when taking lessons. Wrap up. Quote. We talked about his junior golf journey. Some key things that he does to win. His favorite ways to practice and prepare for events. Highlights of his junior golf career. Giving back to the game at a young age. Interview in with Payne Denman. 2 Time HS State Champion. Former MTSU Golf Team Member. Mini-Tour Player. Advice playing state champions. Multi sport athlete. Transferring from Univ of FL to MTSU. Time management. Routines through high school and preparing for college. Getting your name out there to coaches. College considerations. Quote. Highlights from TOUR Golf. PGA Meeting and getting comfortable while being uncomfortable. Things I saw during the junior tours this weekend. Pace of play tips. Growth mindset versus Fixed mindset from Ted Radio Hour Podcast. Things to say and not to say before a tournament. Quote about letting your vision pull you towards your goal not being forced to do so. Winter training. Ways to regain short game feel. Mental training. Positional training. Quote about change. Ep #8 - "You wanna talk about practice?!" Intro • Exaggerations in practice. Commitment • Rewarding practice. Setting up a competitive practice. • Block versus Variable practice • Wrap up. Quote. Level of training.